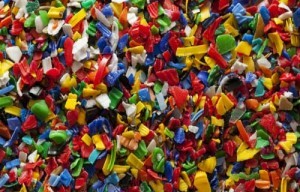 Struktol, a US supplier of polymer additives, together with its European distributor Velox, will highlight various products for recycled plastics and for polymer compounds that contain recycled content at K 2016. Among the new products, STRUKTOL TR 229 is for use in both polycarbonate (PC) and PC/acrylonitrile butadiene styrene (ABS) blends as well as polyamide (PA) 6 and 6,6 compounds. It can be used in US Food &amp; Drug Administration (FDA)-approved applications and is also ideal for use in recycled applications. Struktol also introduced STRUKTOL TR 219 for use in PA 6 and 6,6 compounds. It has been found to be effective in polyester (PET and PBT) compounds, especially recycled or recyclate-containing applications or in cases where the polyester compound is contaminated with other plastics. Struktol also has additions to its line of additive products for recycled polypropylene (PP). STRUKTOL RP 38 is a new, multi-functional package that incorporates vis-breaking technology with lubricant and odor control. It provides for significant viscosity reduction at low loading levels. The lubricant base provides improved processing characteristics in both compounding extrusion, as well as increased mold flow and metal release for the molder. The odor control portion of the product aids in reducing odors associated with the recycled polymer during and post processing. Another product, STRUKTOL RP 37 is designed to provide unmatched viscosity modification and lubrication in recycled PP compounds and resins that contain high levels of polyethylene (PE) contaminants. STRUKTOL RP 11 is a unique lubricant package that provides an unmatched combination of viscosity reduction and mold release characteristics for recycled PP resins and compounds. Loading levels as low as 0.2% result in increased melt flow and allow for significant improvements in mold filling and release. Processors using RP 11 will benefit from its versatility; allowing greater use of regrind or recycled content material without sacrificing certain properties or performance. STRUKTOL RP 06 provides similar viscosity modification and mold release combined with low odor and volatiles that are ideal in automotive applications. This series of products can be tailor-made to fit the requirements of the recycle compounder, resulting in a unique additive designed to fit the application. STRUKTOL RP 17, a combination lubricant and odor neutralizing mask, was originally designed for reducing/eliminating compounding and end-product odors in wood-filled plastic compounds. The product has been modified for use in a variety of polymer resins and compounds that require the multi-functionality of lubrication, mold release, and odor reduction. RP 17 can be used in recycled applications as well as automotive interior compounds where neutral odor may be a requirement. STRUKTOL TR 052 is a compatibilizer and blending aid that is extremely beneficial for incorporation of regrind/recycled product in a wide range of polymers. Processors can realize improved physical properties and overall improved processability of compounds requiring some level of recycled content. TR 052 has been shown to significantly improve the processability and performance of mixed recycled streams used when separation of the resins is not done prior. The additive compatibilizes dissimilar polymer systems allowing for expanded use of these mixed recycled streams.